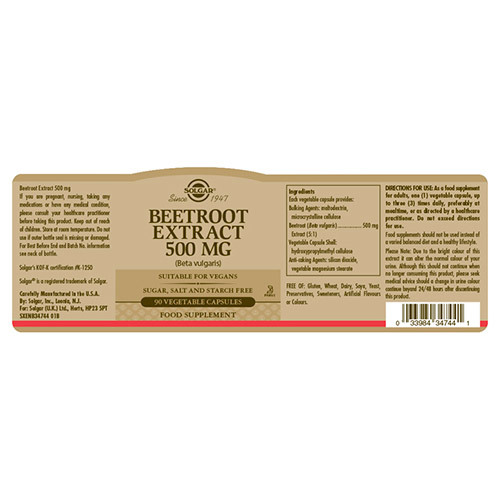 Solgar® Beetroot Extract 500mg is a food supplement containing beetroot, a nutrition rich root vegetable. 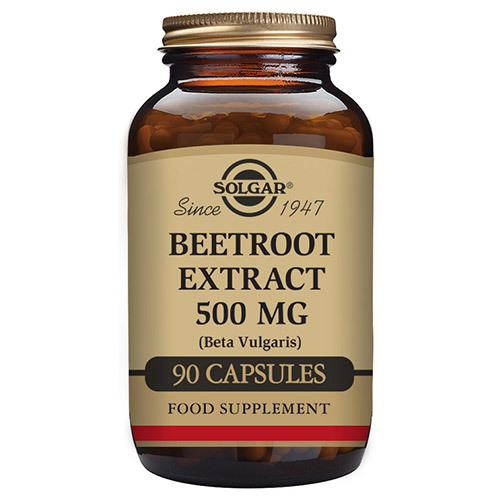 Solgar® Beetroot Extract 500mg is to be taken as 1 vegetable capsule, up to 3 times a day, providing all the benefits of this nutrient rich root vegetable. 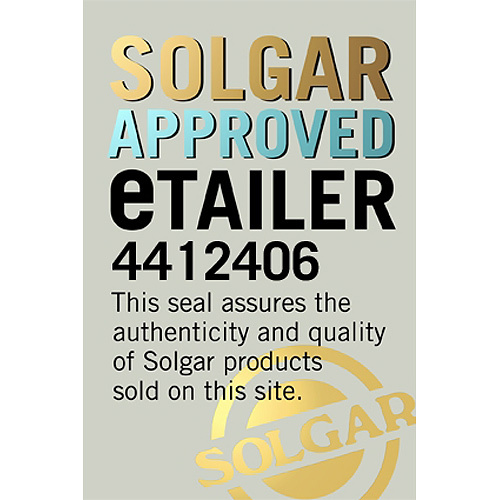 Also contains: Vegetable Capsule Shell (hypromellose cellulose), Bulking Agents: microcrystalline cellulose, Anti-caking Agents: silicon dioxide, vegetable magnesium stearate. As a food supplement for adults take one vegicap, up to three times daily, preferably at mealtime, or as directed by a healthcare practitioner. 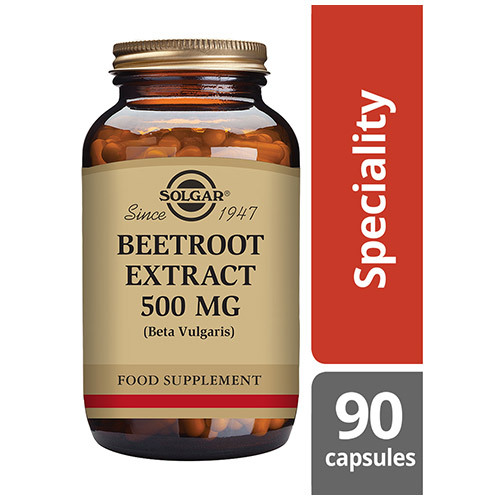 Below are reviews of Solgar Beetroot Extract - 90 x 500mg Vegicaps by bodykind customers. If you have tried this product we'd love to hear what you think so please leave a review.